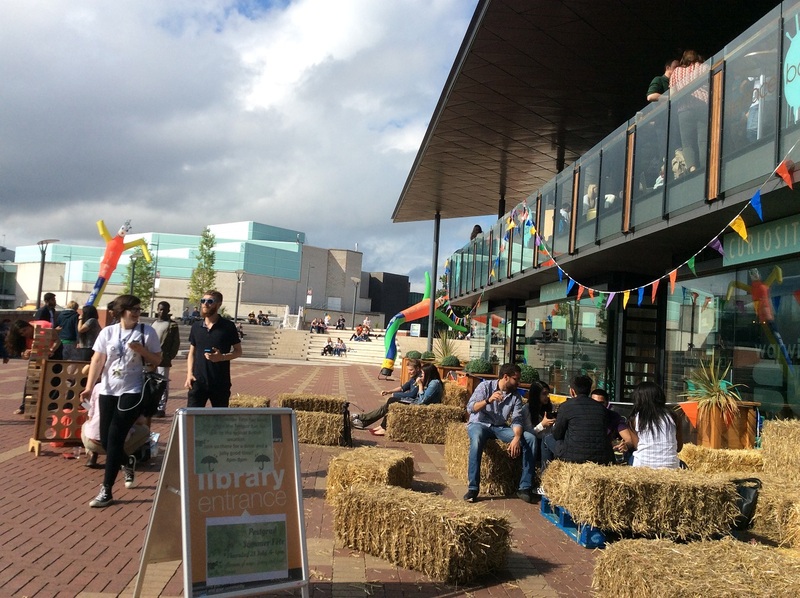 In July 2018 we joined up with Warwick SU for a big summer barbecue for all postgrads still on campus working on dissertations and theses! More images available via our Facebook photo album! To celebrate the end of Ramadan, we held an Eid al-Fitr celebration in the Library open to all, with traditional Malay food such as chicken rendang, rice, and vegetables with gravy and peanut sauce. Check out the Facebook photo album for more images! To celebrate the new Year of the Earth Dog, we joined up with the Mead Gallery in Warwick Arts Centre to host a number of craft activities including clay modelling, red envelope making, calligraphy, and still-life painting and drawing - all inspired by the Mead Gallery's exhibition, Reality Dimmed by Clare Woods. We also provided a selection of Lunar New Year snacks including spring rolls, prawn crackers, rice crackers and fortune cookies. Check out the photo album on Facebook for more images! In 2017 we celebrated the Mexican Dia de Muertos (Day of the Dead) celebration in the PG Hub, for the first time ever! It was an opportunity for some of our Postgraduate students from Mexico to share their culture and customs with the rest of the PG Community. 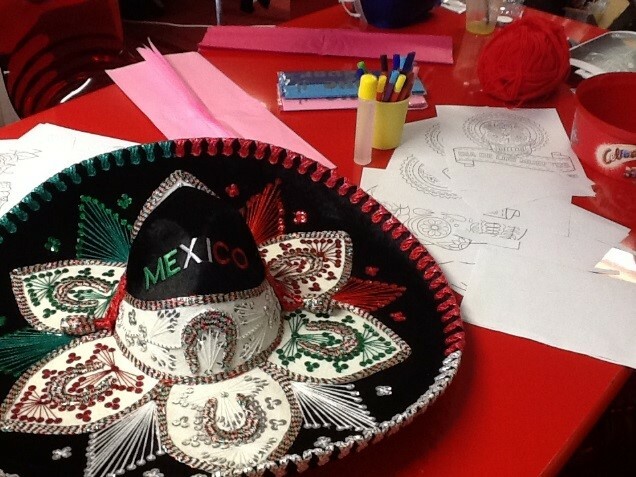 We even set up our own Ofrenda (Offering) in the communal area and did some traditional face-painting. We held an advice sharing evening in the Research Exchange so you could ask questions and get answers from peers and colleagues about getting published. We heard from two PhD students who shared their honest experience on getting their work published as well as from the Head of Scholarly Communications, who gave practical publishing advice, information about open access and discuss the importance of promotion. For the past couple of years, we've celebrated the past academic year with a big, summer fete, complete with hay bales, outdoor games, live music and hot food. The rain has held out (at least for the most part! ), so we could all feel summery and enjoy our burgers and baps on the Piazza. Playing Mario Kart on the big screen was really fun too and it was great to see so many people having fun and taking the afternoon off from their study - we hope you had a great time! "Brilliant! 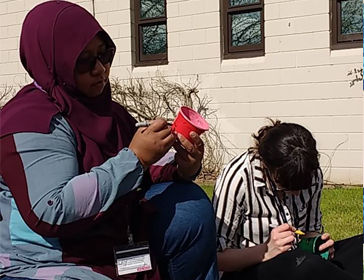 Just what we needed... something chilled out with Pimms"
Over the spring vacation we helped you get into the spring-time spirit by planting your own potted plant, feeding the ducks around our beautiful campus and trying something new with our lunchtime ‘creative breaks’. We had some special events too, including loose tea tasting – delicious! Having the sun out made all the difference, and we loved being able to take our activities outside so you could get some Vitamin D and enjoy the sunshine! Over the vacation periods, we've been hosting regular board game nights at the Dirty Duck, hosted by the Warwick Tabletop Games and Role-Playing Society - there are loads of games to choose from, catering to all abilities. Society members are on hand with expert guidance and advice to help you pick a game or talk through the rules. A great night to help you all kick back and relax, get some food and drink and get your game on! Our celebration of the New Year brought Postgraduates from different backgrounds and cultures together to explore different cultures and traditions. 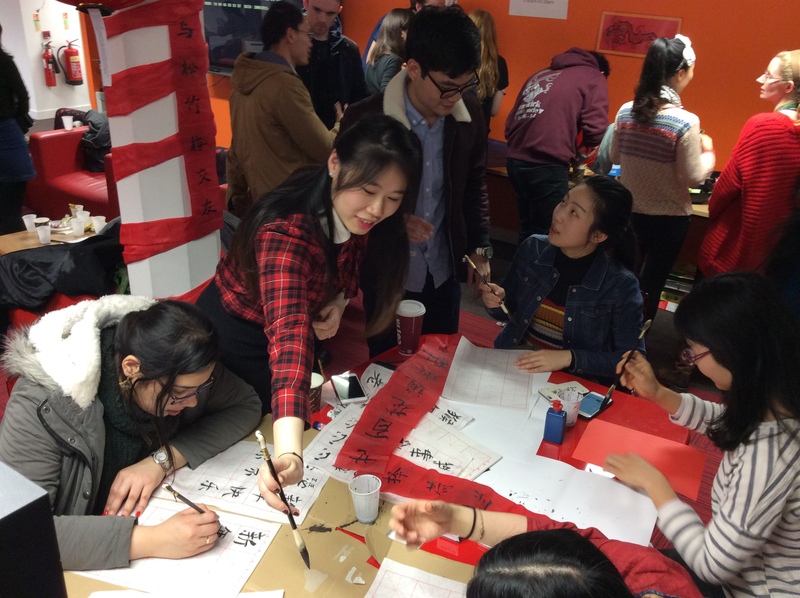 There were plenty of activities, and we enjoyed trying out calligraphy, with the help from Warwick's Chinese Society; ink painting; tangrams (an ancient Chinese puzzle); the games Go and ddakji; and lantern-making! Thanks to Sherry for helping out and doing some beautiful calligraphy! Hope you all have a fantastic year of the rooster! To celebrate the end of Term 1 and to get you into the festive spirit, we joined forces with the SU to bring you a Very Postgraduate Christmas! 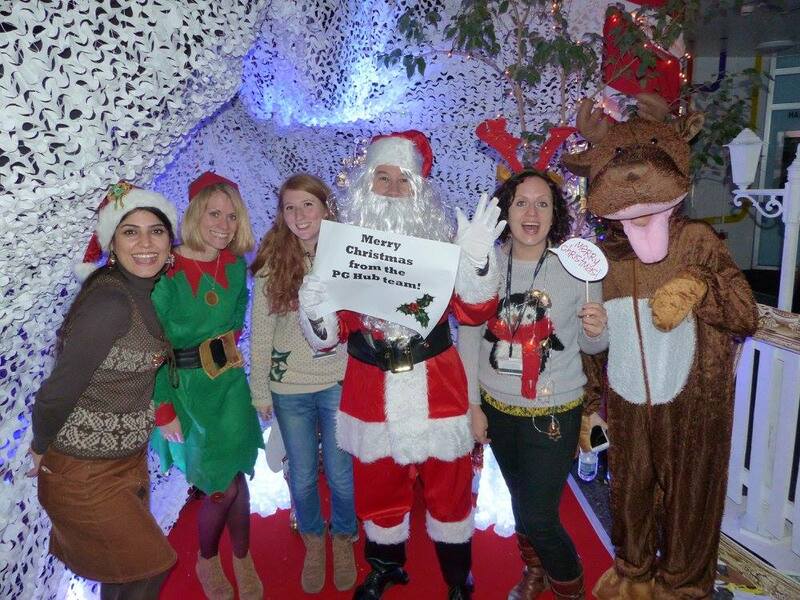 Over mince pies and mulled wine, we enjoyed live music, games and had lots of fun with our Christmas photo booth! It was great to have the SU Atrium to ourselves, with plenty of space to chat and relax. It looked like a winter wonderland! 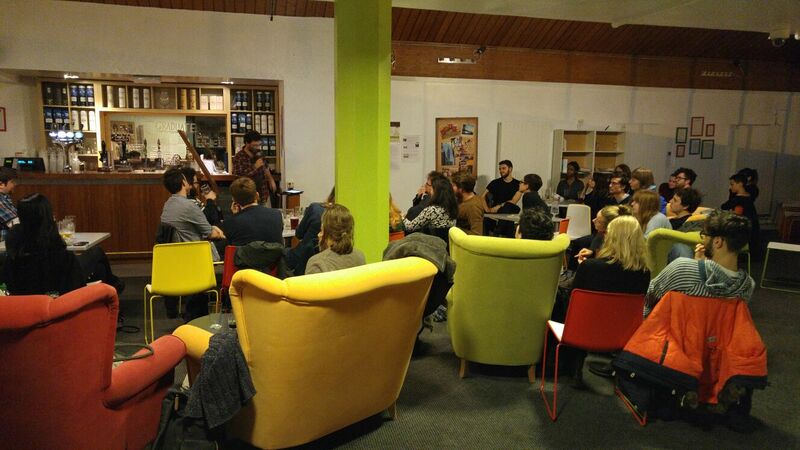 As part of the SU's 'Climate Justice Week: Power Through COP' (for the UN Climate Change Conference in Paris) we jointly hosted a Radical Eco-Poetry evening. The theme of eco-poetry is reasonably broad but the ‘radical’ aspect suggested some relation to roots or non-traditionality – be this ecological problems, solutions or otherwise. We were delighted to hear poems & readings from over 10 students & staff on this theme. 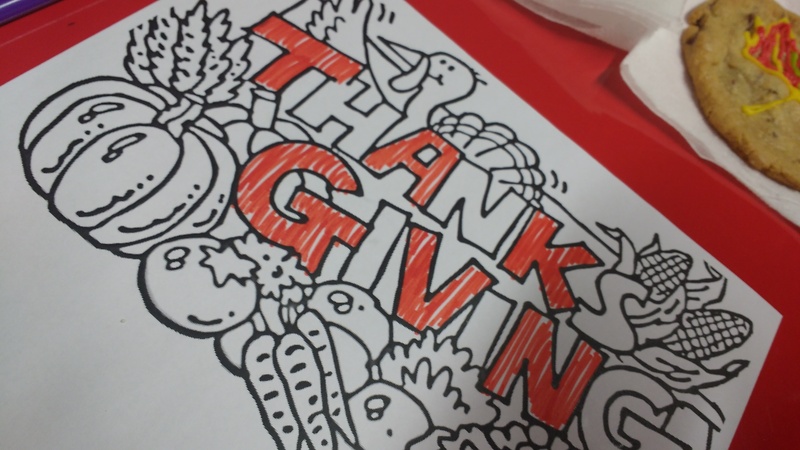 One November, we celebrated the American holiday Thanksgiving! We had delicious traditional food and activites, including cookie decorating, the Macy's parade, colouring in and Charlie Brown. The main highlight was the pumpkin pies - they didn't last long! Thanks to Skye and Tracy for organising this event with us! 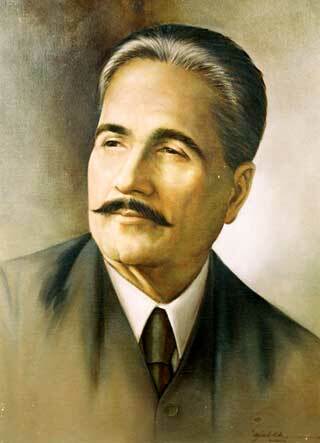 This event commemorated the 138th birthday of Dr. Sir Muhammad Iqbal (1877-1938), a poet of national stature in several Muslim countries, especially Pakistan, Iran and Tajikistan. The highlight of the event was a talk by Shafique on a chapter of Iqbal’s greatest work, Javid Nama, who gave an interesting insight that links the diverse cultures of the world to a common heritage. We also enjoyed music and videos inspired by the work of Iqbal and some of the publications of Shafique on the subject were on display. To try something a little bit new, we hosted an evening of social networking with a difference - because research talk was banned! 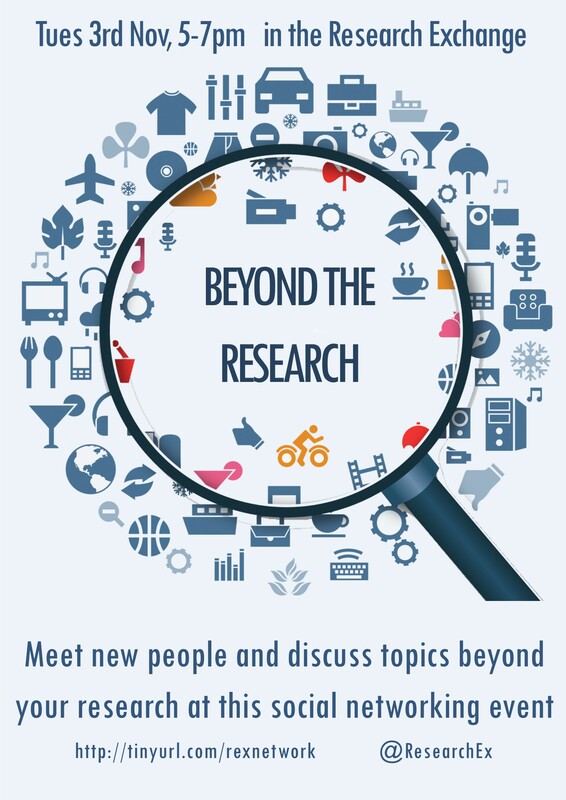 Researchers had an evening of meeting new people and chatting about music, sport, literature, film, food... anything but research! Needless to say, the topic of the great British weather came up a lot! This event was suggested by one of our researchers - if you'd like to suggest or help run an event, please let us know! Our cultural events for the academic year usually kick off with Halloween. 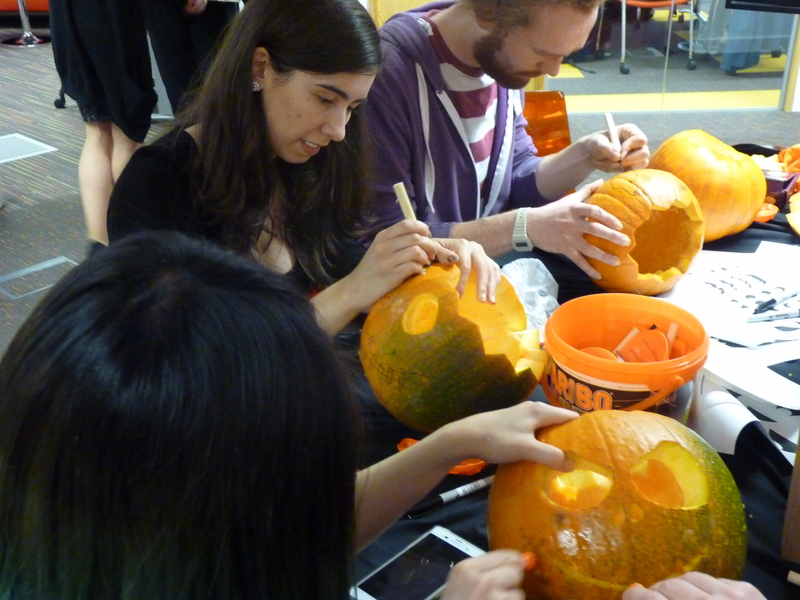 We enjoy some spooky snacks and drinks, whilst getting into the Halloween spirit with activities, which often include face-painting, nail art, tea-light decorating and pumpkin carving. There were some very impressive (and scary!) creations. You can see the photos of one of these Halloween events on our Facebook page. We celebrated the end of Ramdan with a much deserved Eid al-Fitr event in the Hub. Check out our photo gallery on Facebook to find out more about the day. The Persian (Iranian) New Year celebration, Nowruz, is one of the oldest and most important festivals in Persian culture. The Nowruz celebration embraces the whole of the colourful and rich Persian culture, and begins with the first day of spring. Nowruz is celebrated by people from diverse ethnic communities and religious backgrounds beyond Iran. We celebrated with a Haft Sin table, traditional pastries, cake and tea, and an opportunity to have a go at egg painting! The Tadau Kaamatan (literally, ‘Day of Harvest’ in the KadazanDusun language) is an annual celebration enjoyed by the KadazanDusun and Murut (KDM) people of Sabah, in Malaysian Borneo. Typically, various districts in Sabah will begin their Kaamatan preparations as early as the first of May, culminating on the 30th and 31st May at the KadazanDusun Cultural Association building in Penampang, Sabah, known by the locals to be the gathering place for the KDM community. We danced, arm wrestled, watched movies and ate delicious cakes and cookies - check out our traditional dancing!